HOUSTON (CN) – With Texas Governor Greg Abbott facing calls to convene a special legislative session to address school safety, he took a cautious step into the debate Tuesday by hosting state lawmakers in a roundtable discussion prompted by last week’s shooting in Santa Fe. The Legislature meets again in January 2019 for a five-month session, but Texas politicians on both sides of the aisle are urging Abbott to summon lawmakers to the state capitol in Austin this summer to work on legislation to enhance security at public schools before the 2018-2019 school year starts in August. Special sessions in Texas can go for up to 30 days. Tuesday’s roundtable comes as Dimitrios Pagourtzis, the 17-year-old who confessed to fatally shooting eight students and two teachers at Santa Fe High School on Friday, sits behind bars on suicide watch in the Galveston County Jail. Pagourtzis is being held without bail on capital murder charges. The Santa Fe Independent School District canceled classes for this week. Teachers and staff will return to work Wednesday, while classes will resume Tuesday, May 29, after the Memorial Day holiday. Though Abbott did not mention gun control in a news conference in Santa Fe, 30 miles southeast of Houston, on the day of the shooting, he did float the idea of the panel discussions. Tuesday’s roundtable will be followed by others on Wednesday and Thursday. Abbott said in a statement that panelists will include victims of the Santa Fe shooting and the November 2017 massacre in Sutherland Springs, Texas. Devin Kelley fatally shot 26 people and wounded 20 during a shooting spree at a church in the small town near San Antonio before a good Samaritan shot him and he fled in his car. Police found him shortly thereafter dead of an apparent self-inflicted gunshot in his car that he had wrecked on the side of the road. For Tuesday’s roundtable, Abbott was joined by Lieutenant Governor Dan Patrick and outgoing Texas House Speaker Joe Straus, both Republicans, along with Democratic and Republican chairs of several legislative committees. Reporters and the public were not allowed into the talks Tuesday, nor was the event streamed live online. Abbott’s spokesman said the panelists would speak to the media briefly before and after the discussions Tuesday. The governor’s spokesman MacDonald Walker said the closed session was meant to foster open dialogue among the participants, which included Texas Education Agency Commissioner Mike Mortah and Texas Department of Public Safety Director Steve McCraw. “We just want it to be as productive as possible. A lot of the attendees aren’t necessarily used to a media presence like that,” Walker said Tuesday morning on the phone. He said such closed-door roundtables are meant to give participants space to brainstorm policy reforms, while keeping their controversial ideas from becoming public. “The advantage to a closed-door policy is that serious discussion can be had that will inoculate those with views that may be politically unpopular to their base. The disadvantage is that the larger public and other stakeholders have little say in what policy options are generated and the governor misses an opportunity to engage the public,” Rottinghaus said in an email. Both Representative Chris Turner of Arlington, leader of the Texas House Democratic Caucus, and Representative Byron Cook of Corsicana, a Republican who is the lame duck chairman of the influential House State Affairs Committee, have asked Abbott to call a special session this summer to work up legislation to prevent school violence. So has Houston Mayor Sylvester Turner. A Democrat, Turner represented Houston in the Legislature for 17 years. Guns are deeply ingrained in the Lone Star State’s culture. State politicians are known for making campaign ads portraying themselves as shotgun-toting hunters and for raffling off firearms to raise money for their campaigns. 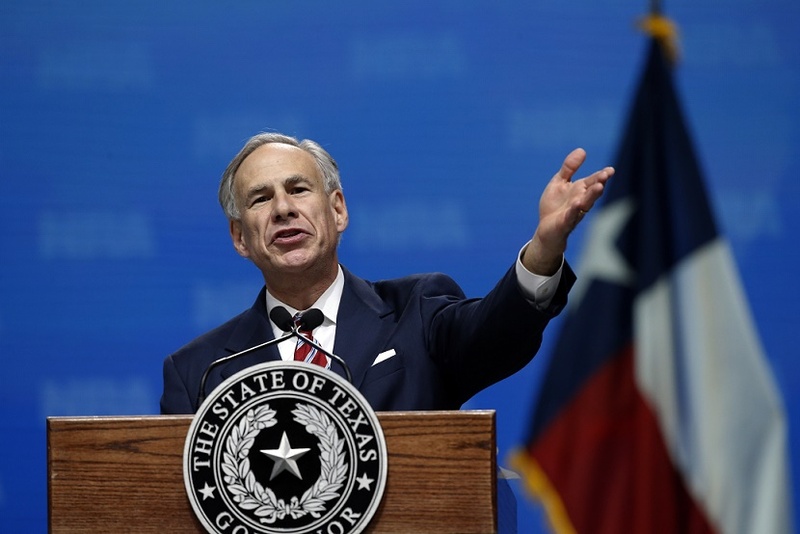 Abbott’s gubernatorial re-election campaign had been offering contestants the chance to win a Texas-made shotgun on a website featuring a photo of the governor holding a firearm, but it scrapped the contest and took down the photo over the weekend as reports surfaced that Pagourtzis had killed students and teachers at Santa Fe High School with a Remington shotgun. The governor is expected to easily win re-election in November to a second four-year term. His Democratic opponent will be chosen in a runoff vote Tuesday. Former Dallas County Sheriff Lupe Valdez, who is openly lesbian, is facing Andrew White, a businessman and native Houstonian. White is the son of the late Mark White, a Democrat, who was Texas’ governor for four years ending in January 1987.